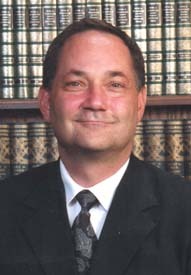 Judge Schiferl received his undergraduate degree from the University of Southern Colorado and graduated from the University of Gonzaga Law School in December 1979. He was in private practice for eleven years and was a prosecutor for the District Attorneys office for eleven years. Judge Schiferl was appointed to the District Court Bench on April 5, 2002. He currently presides over cases of domestic relations, civil matters, felony criminal matters, and various other cases. Judge Schiferl has been instrumental in developing a problem solving court and a truancy court that serves the Sixteenth Judicial District. He encourages students to visit his court and speaks with them when time permits.